Om Hara Hara Hara Mahaadev. Glory to Hara, Bearer of the Ganges. 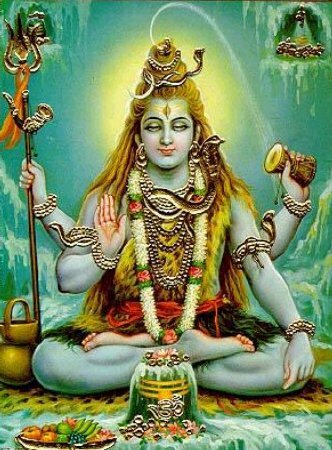 Glory to Shiva, Lord of Girija and Gauri. By your grace, Lord of the World, protect me forever. The magnetic relationship of the two hemispheres of the brain is readjusted with this meditation. Sit with the spine straight (either on the floor or in a chair). Cup your left hand and hold it over your left ear. Hold the left arm up in front of you so that the upper arm is parallel to the ground. Extend your right arm striaght out to your side. Bend the elbow so that your fist is a few inches from the ear with hand in conch mudra (make a loose fist, thumb on top of the fingers, one side open like a conch shell – see picture). Let the cupped hand strike around the ear (the skull, jaw and neck) more so than hitting the ear itself. Keep elbows up, keep up the chant, keep the gaze down the nose. 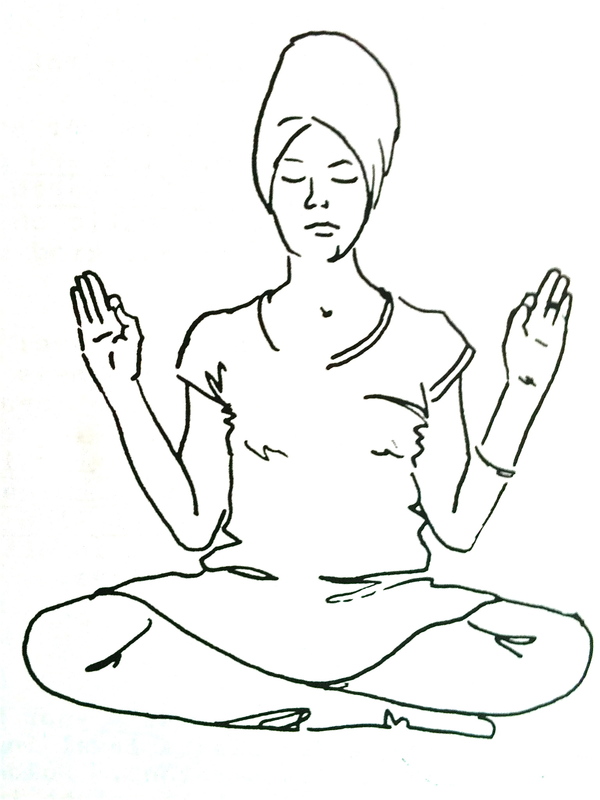 Do the meditation for 11-31 minutes. Thousands of years ago yogis observed that earthquakes impacted the human in more ways than just the physical or mental. One’s psyche can feel displacement or disoriented. After an earthquake the two hemispheres of the brain need to become aligned so that the magnetic field can become adjusted. Practice this meditation to synchronize the magnetic relationship of the two hemispheres of the brain so that you can be truly present.